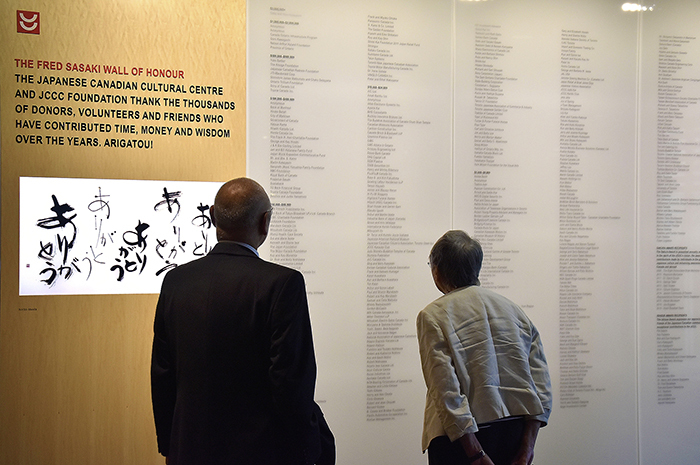 This new donor wall for the Toronto JCCC was created in 2017 to thank the center’s donors and contributors. The illuminated display embodies the many different expressions that can be given to the words “Thank you”. 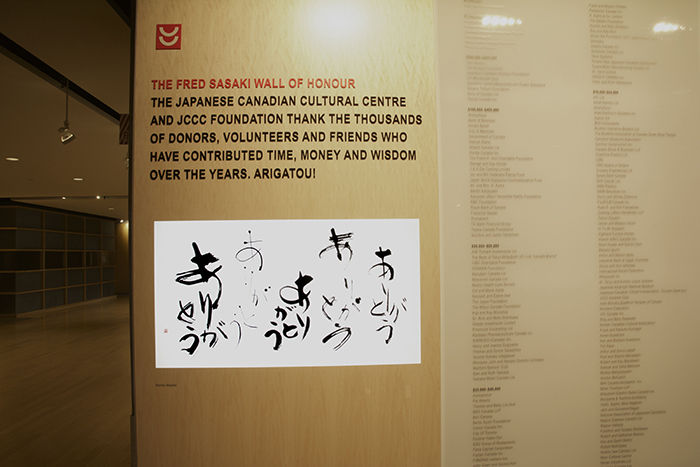 For this piece, Noriko was inspired to create a piece of calligraphy that evokes the sound of a chorus of diverse voices expressing gratitude.